Apartment complex with building permission and guaranteed income of 6% p.a. and assign the meeting at any place which will be comfortable for you! The developer of the project is “STING" group of companies. There is a land plot which is located on Stara Kysibelska st. in close proximity to the resort area of Karlovy Vary, Czech Republic, 10 minutes’ walk from the tourisitic city centre. 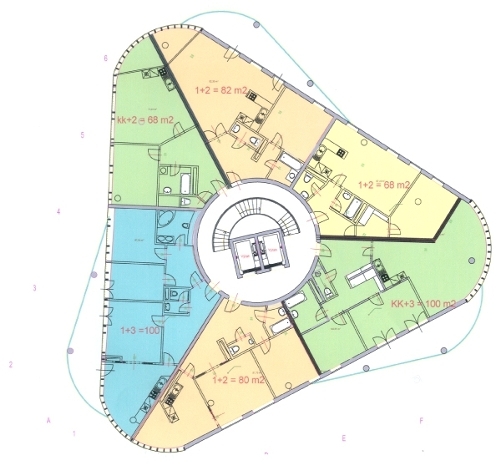 The land plot is located in the zone of current building. This section provides key figures of the project. For more detailed information contact us and we will provide a full report of the project! 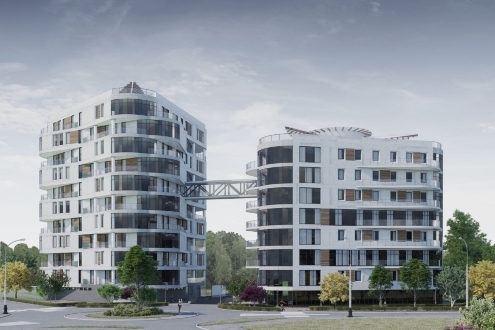 Development of the project documentation is performed by the famous Czech architect bureau "Bokota Bursik. Architectural solutions of this apartment complex are unique. Part of the faсade has panoramic glazing, which in the last decade wins the heart of buyers. The project documentation is developed in accordance with all local regulations and meets the modern requirements of fire safety. Construction of the apartment complex will consist of monolithic and brick frame. The apartment complex is going to be equipped with the most modern engineering equipment that will allow owners to gain a sense of safety and harmony. Taking into account that this apartment complex is located in the existing buildings, the tenants will be able to use the current infrastructure in the zone of walking distance (10 minutes). The kindergarten, the school, the gymnasium, the main city hospital, grocery supermarkets, furniture stores, plumbing and electronics shops, hunting and jewelry shops, etc. are situated near the future apartment complex. since the middle of March preparatory works on the construction site are carried out. since April, 2012 the changing of all communications on the construction site have started, that ended at the end of 2013. 3rd quarter, the construction of one or two buildings of the "Double Triangle" is scheduled. The group of companies STING is a large, successful and financially stable company offering a wide range of quality services related to the real estate in Europe. We are working on the large territory of Czech Republic through a network, that consists of 39 branches and two branch offices in the Slovak Republic. 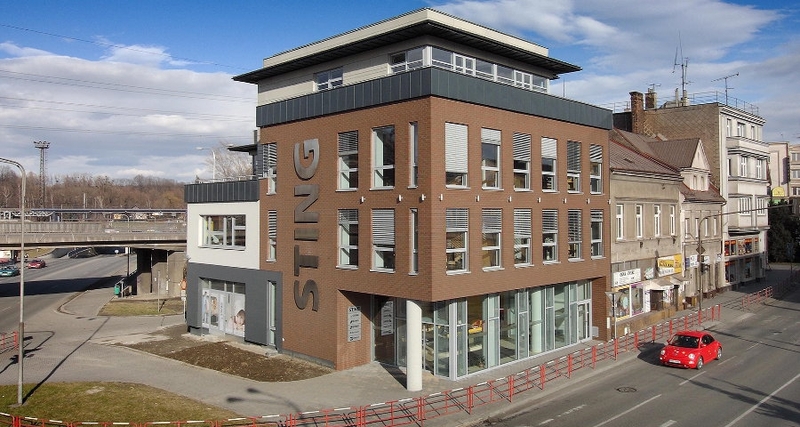 STING company operates on the market since 1997, that makes it one of the most perennial companies, which works with the real estate at the sufficiently young Czech real estate market. During this time tens of thousands of real estate objects has been sold that vividly demonstrates the experience in this area. The value of the sold properties for the entire branch network is nearly sixty billions of CZK. Our educational centre STING Academy organizes one hundred training courses per year. Experienced brokers pass the certification. Within it they pass professional examinations in law, taxation and construction, as well as after its passing they receive the certificate.